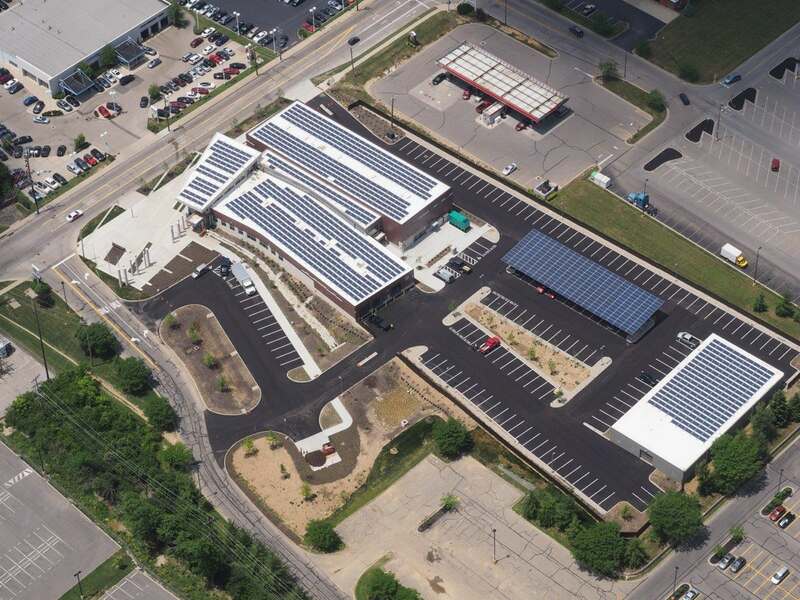 The hope is that Cincinnati's Net Zero police station will help spur development, and add to the area's improved pedestrian and bicycle focus. 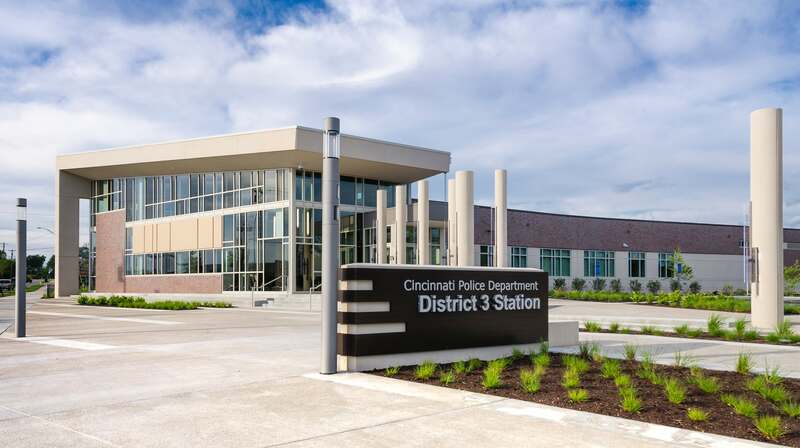 The City of Cincinnati has recently put the final touches on perhaps the country’s most sustainable police stations. 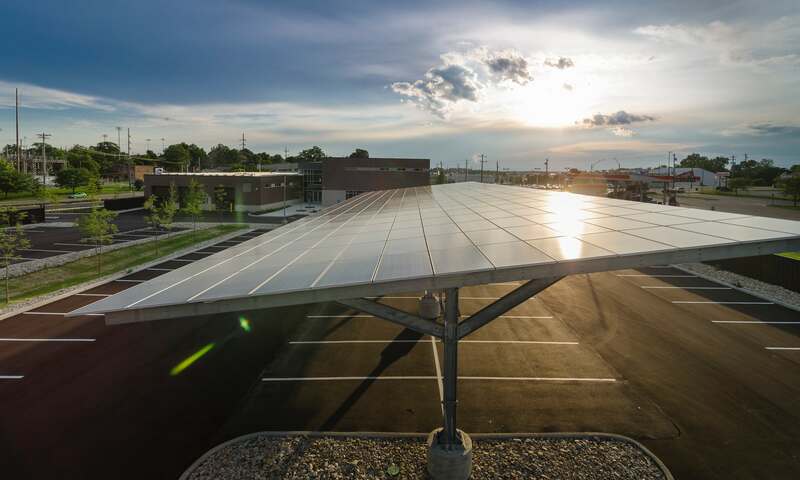 Recently certified LEED Platinum, the District Three Police Station is set to become the first Net Zero Energy police station in the country. 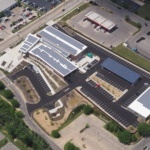 Designed by Cincinnati-based emersion DESIGN in close collaboration with Messer Construction, the project was conceived as design-build from the beginning. 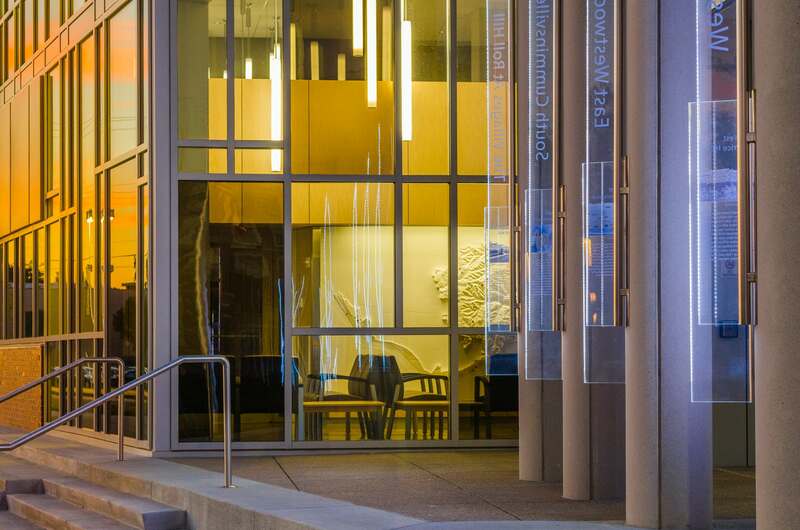 The team was responsible for the architecture, interior design, structural engineering, sustainable consulting, and public engagement. 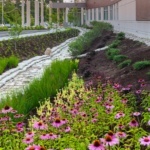 Landscape design was handled by Cincinnati-based Human Nature. The new station was a long time coming. The former District Three Police Station was over 100 years old, and the city as a whole has not built a new police station in over 40 years. In replacing the station, the city looked at 27 different sites and 14 neighborhoods in the district to find the most impactful location. 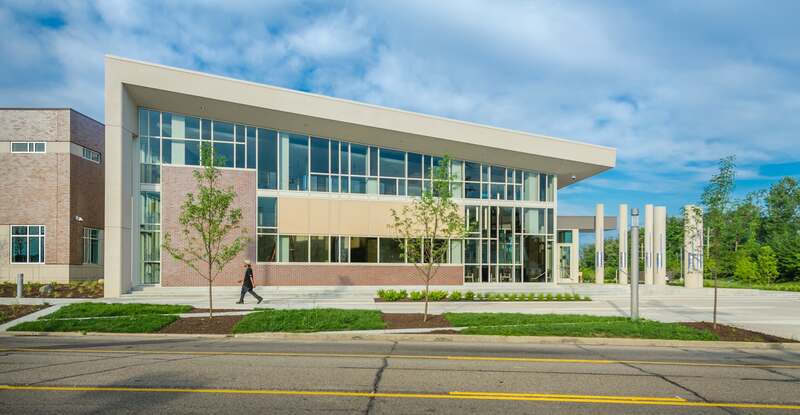 The site the city chose is in the West Price Hill Neighborhood Center, which has been pegged for transformation. The hope is the station will help spur development, and add to the area’s improved pedestrian and bicycle focus. 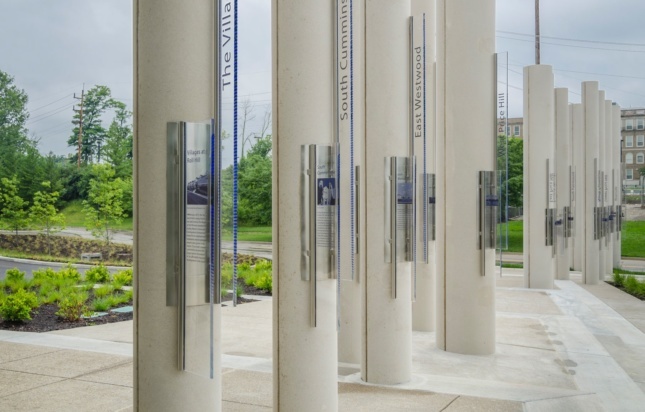 The project team held a series of community charrettes and the design aims for a physical connection with the nearby area: a colonnade in front of the station corresponds with 14 identical columns located throughout the district. 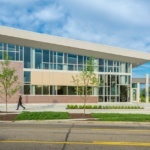 emersion Design used various energy models to test the project’s orientation, massing, fenestration, and thermal envelope qualities. 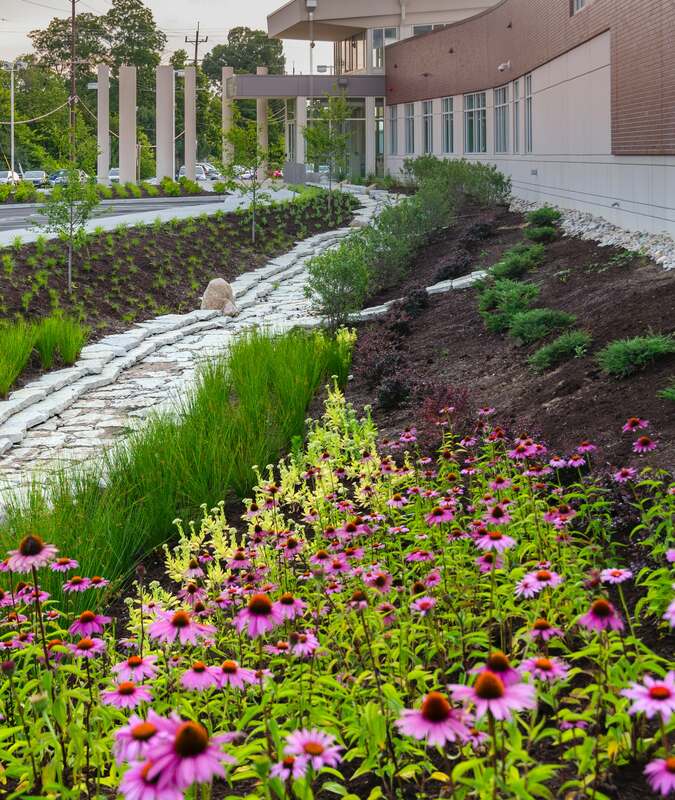 A compact building footprint, advanced storm water system, and extensive drought tolerant landscaping opens the project to the public and showcases its sustainability goals. 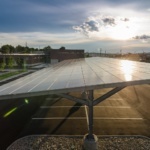 Other sustainable technologies used include a roof covered in photovoltaics and 40 geo-exchange wells. 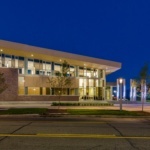 The construction process was also carefully planned to reduce waste. 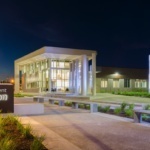 A total of 80.34 percent of the project’s construction diverted waste away from the region’s limited landfills. 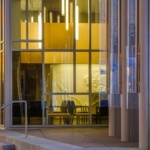 The design also called for recycled and local materials, and 97 percent Forest Stewardship Council certified wood. 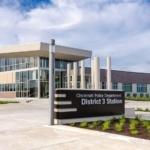 The District Three Police Station is the City of Cincinnati’s way of setting a benchmark for other civic buildings in the city and across the country.